An upgrade on a classic design! 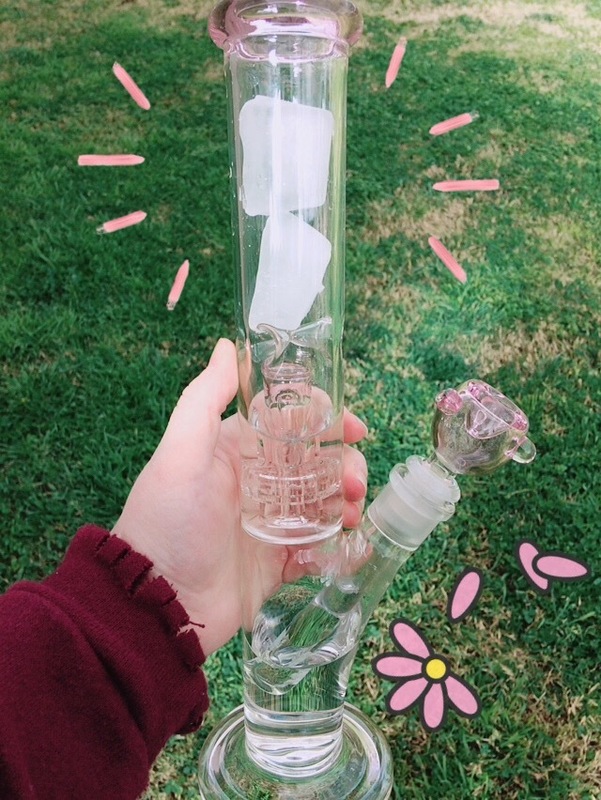 This is not your average straight tube bong, this piece includes a diffused downstem and a domed stereo matrix perc in the second chamber for twice the diffusion and filtration. Just above the matrix perc is an ice catcher that allows you to add ice cubes to further cool down your smoke. This piece is made with borosilicate glass and stands at 12" inches tall. Available in 9 different color accents to fit anyones color style. This is a great daily driver for herbs because of it's affordable price and significant filtration. So this was actually my first **** to purchase. At first when looking for a piece, I was thinking about getting a cheaper **** on amazon or other sites, but I am so glad I went with this one. The actual **** glass is thick, and the hits are smooth AF. If you're undecided about a piece, this one wont disappoint. Only reason for 4 stars, is that recently the bowl broke when I was ashing the bowl using my debowler.